I’m still on a mission to increase my very miniscule work wardrobe. 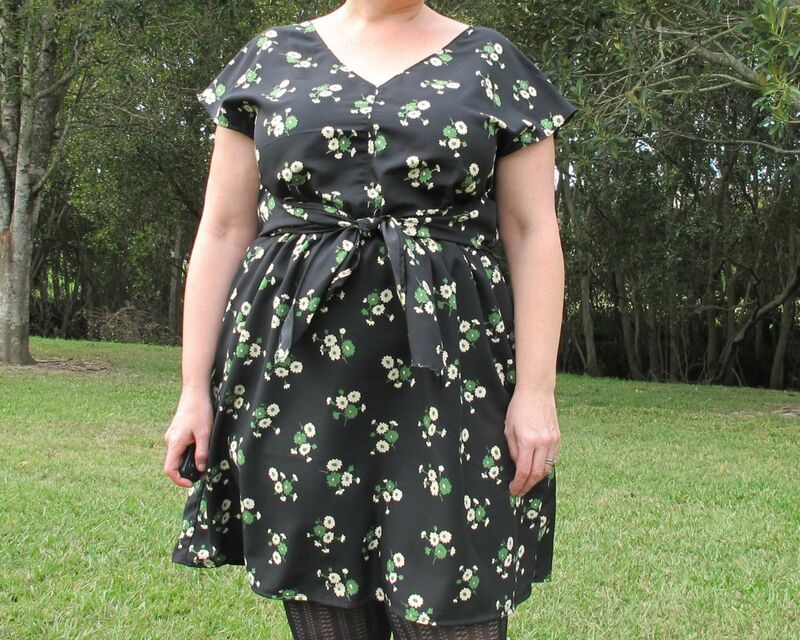 I plan to make a few basics and then a few more colourful and interesting dresses. 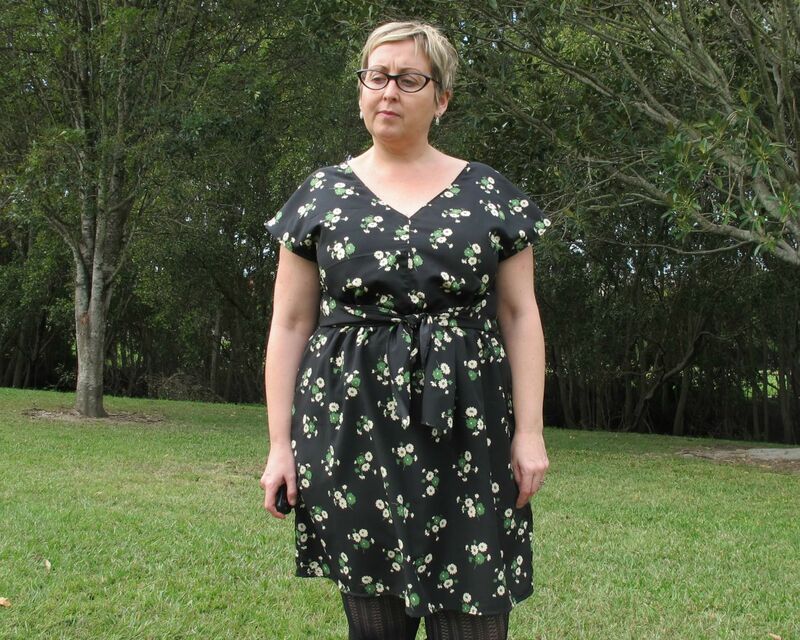 This LBD is View A of Simplicity 2174, one of their Amazing Fit range. A princess lined dress with two neckline options, two lengths and A, B, C & D cup sizes. I love this idea of Simplicity’s to make patterns with different cup sizes. For those of us that always need to do an FBA (or presumably an SBA) these patterns are a godsend. I admit to being skeptical at first and figured it would at least be a good start and I could always adjust further from there. Not necessary. I used the D cup pattern pieces (a couple under my normal size) but found these to be more than sufficient. I used a suiting fabric bought at Levines in LA a couple of years ago. This was fabric by the pound and so cheap – I ended up with about 5m of this fabric and used the balance to make a M6611 jacket (to be blogged soon). Not many adjustments were required to my size 14 due to being able to avoid an FBA. I did cut the shoulders a size smaller and shortened the bodice at the waist by about 1″, but will likely shorten it a touch more next time. I ended up taking in the sides a touch more than the 1″ allowance, particularly at the bust level where I needed to take it in another ½”. I actually wondered if perhaps I should have used the C cup pieces, but in my rashness binned them so not an option! 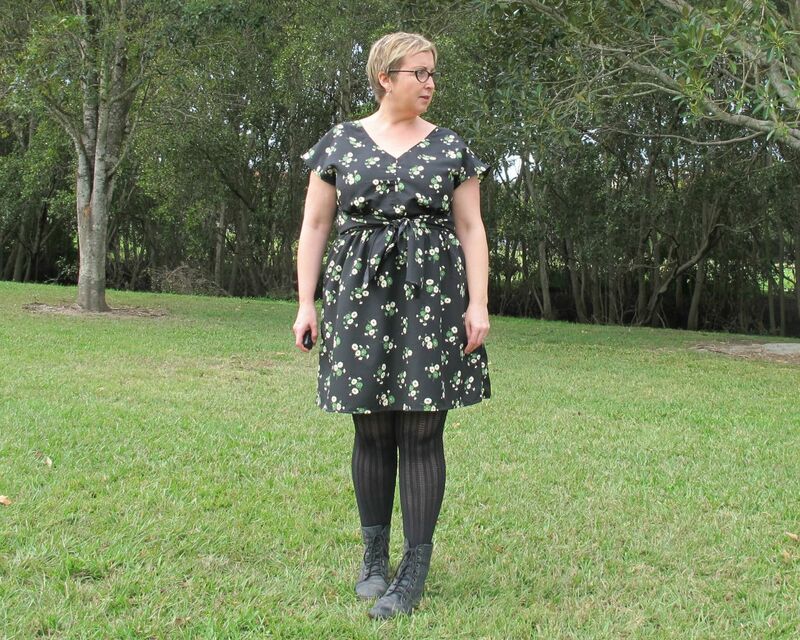 My fabric has a little stretch to it, so this may be difficult to gauge until I use a non-stretch fabric. – did I mention it has pockets!!! 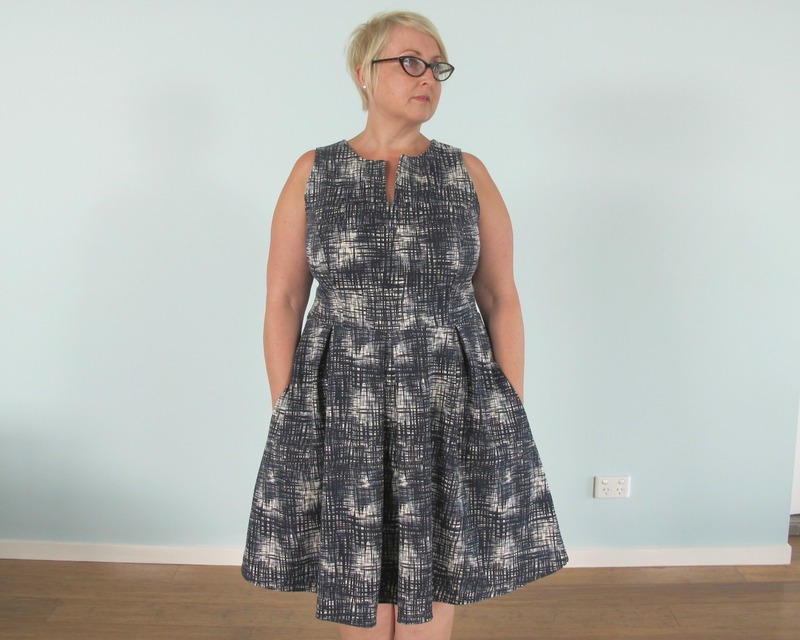 I feel like I could wear this dress a couple of times a week and no-one would notice, but wear a patterned or more statement dress and it would be pretty obvious. 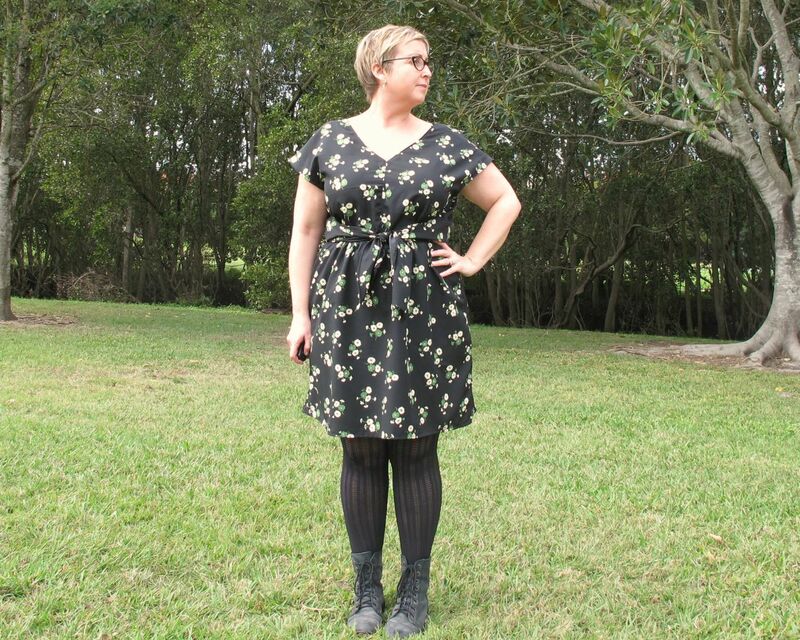 Whilst I build my wardrobe up, this dress is a great staple.